After Punchatantra inspired by the Superstar and Grand Brand Rajini, author P C Balasubramanian’s third book Ready Steady Exit, seems to be veering away from his favourite subject — Rajinikanth. But, it really isn’t so, says the author. “There is a bit of Rajinikanth in it and like in the others, there are management lessons here also, just a little more subtle,” he adds. In fact, in his ventures in the future, if the plot needs Rajinikanth in it, he would only be too happy to introduce it. “Rajnikanth is just so exciting. 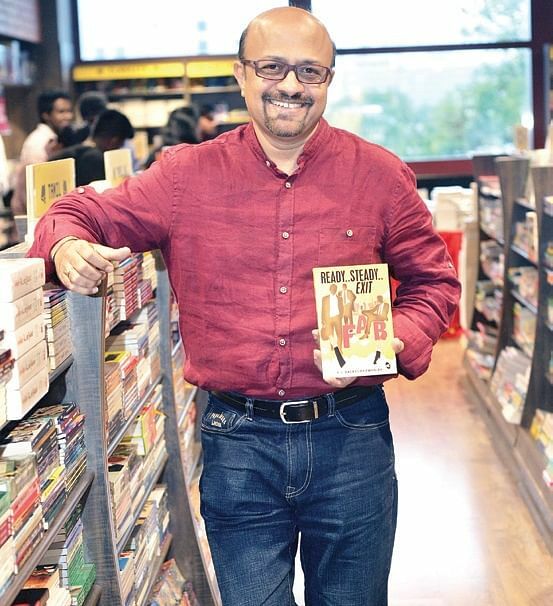 Him, filter coffee and cricket are things I would always want to include in my books,” admits Balasubramanian. This book has these elements too. His first attempt at fiction, Ready Steady Exit, revolves around corporate life and the journey of a company from its inception to when it is being sold. Balasubramanian however, promises that it is a light read, with doses of romance and comedy thrown in as well. Over the 170-something pages, the protagonist, like the author himself, is a chartered accountant who has passed the exam after multiple attempts. He starts a company and what happens further forms the story. “People start paying attention to entrepreneurs only when they begin to exit their company and that’s what the story is about. Hence the word ‘exit’ in the title,” the author tells us. Guaranteed to have something for all kinds of readers, the book has elements close to the author’s heart as well. The plot would traverse through bits of Puducherry which holds good memories for him, a lot of Chennai, Mumbai as well as one scene set in Bengaluru. Having written three books in a span of five years, Balasubramanian is in no hurry to write new ones, but he assures us that there are more books to come. “There has always been a gap between my books releasing, as the urge to write and the right subject to come along need to come together. However, there is another book coming up, probably in the next couple of years, and yes, I would love to add Rajinikanth in it, if it favours the storyline, “ he signs off.